The GSMS-SW22T GSM-relay enables you to reliably control your electrical appliances from anywhere in the world using a landline phone or mobile phone. It can be connected to almost any electrical device and lets you turn them on or off by using phone calls, SMS or our iPhone and Android app. 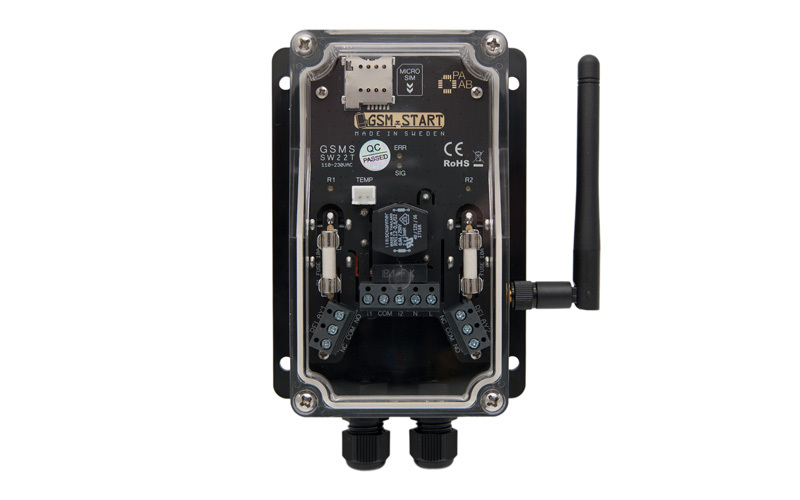 It also has two inputs that can be connected to for example a motion detector so if there is any movement detected you will receive a SMS or the inputs can be configured to control the relays. The unit supports quad band (850/900/1800/1900 MHz) and will work worldwide! 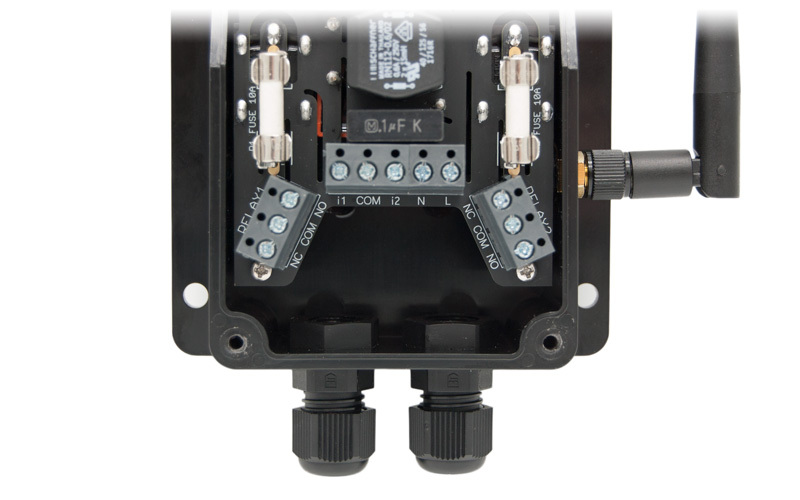 The GSMS-SW22T unit is developed and manufactured in Sweden* and rigorously tested & well proven. We use only high quality components from authorized distributors. Highly reliable, easy to setup and user friendly. Temperature functions for monitoring, alarms and temperaturecontrolling the relays. Rename, enable or disable the inputs and outputs from the units reply SMS. Easy IOS and Android app available, "GSMS Remote Control" in Appstore and Google Play. Control and setup the unit directly in the mobile app. No programming skills required. Two configurable inputs that can be used to send SMS or to control the relays. Very low power consumption, nominally 0.03W (30mW!) and good signal strenght. 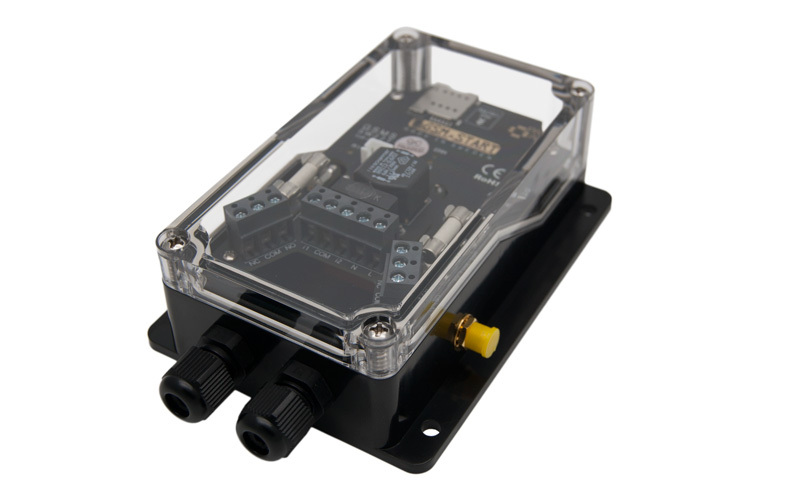 IP67 enclosure, suitable for outdoor use or industrial environments. Wide application; open and close gates, control pumps, monitor industrial equipment or machines etc. Control the heat or other applications in your recreational vehicle rv, caravan, camper van or motorhome. Works with heating systems from Alde, models 3000, 3010 and 3020. Contact us for more information. 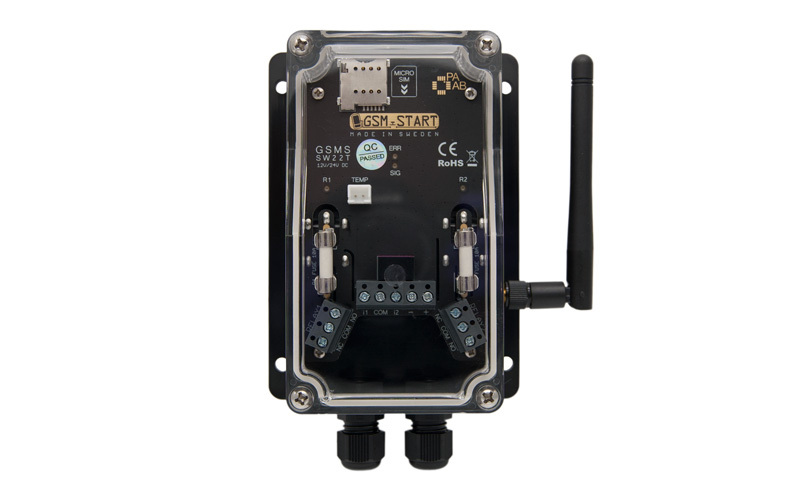 Supports GSM quad-band and will work worldwide. And much more! *PCB and enclosure made in China. Picked-and-placed, assembled and tested in Sweden. WOW, super fast handling and shipping. Device looks and performs great! Thanks. I have had the earlier version (ph2) of the pre-heater unit in my car for one year now and its working great! And now I bought this unit to control the heat for my cabin. Has been working superb the two weeks I owned it. Great product, thanks! Superior quality at a bargain price! Tried a couple of other brands and this is by far the most responsive, reliable and well documented one. The buttons can be renamed or removed if not used. The unit sends back a so called "Overview SMS". This can be configured like the APP.